Orthopedic Disorders consist of a wide range of problems that are concerned with muscles, ligaments and joints. Disorders are ailments, injuries or diseases that cause knee problems, whiplash, dislocated shoulder, torn cartilages, foot pain and fibromyalgia. The most common forms of orthopedic disorders are arthritis, and back and neck pain. Arthritis is a chronic disease that most commonly affects the joints. Depending on the type of arthritis symptoms may include pain, stiffness, swelling, redness, and decreased range of motion. It affects an estimated 52.5 million adults in the United States. The pain, stiffness, and lack of mobility associate with arthritis produce fatigue and markedly reduce the quality of life of the sufferers. The most common forms of chronic pain are back and neck pain. Low Back Pain is the leading cause of disability worldwide and affects between 6% to 15% of the population. 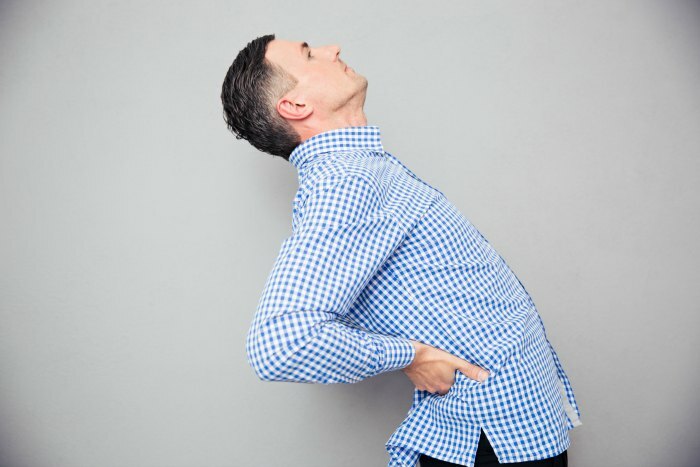 Back and neck pain interferes with daily living and with work, decreasing productivity and creating absences. Arthritis and back pain can have very negative psychological effects and may lead to depression, isolation, and withdrawal from friends and social activities. There are many different treatments for pain, but few are both safe and effective for chronic musculoskeletal pain conditions. So, alternative treatments are needed. Mindfulness practices are effective in treating pain and have been shown to be safe and effective in the management of arthritis, low back pain and neck pain. In addition, mindfulness practices have been shown to improve mental health. So, it is likely that mindfulness practices will be effective for both the physical and mental health issues that accompany musculoskeletal disorders. In today’s Research News article “Scoping review of systematic reviews of complementary medicine for musculoskeletal and mental health conditions.” (See summary below or view the full text of the study at: https://www.ncbi.nlm.nih.gov/pmc/articles/PMC6196876/ ), Lorenc and colleagues review and summarize the published research studies on the effectiveness of mindfulness practices for the treatment of the psychological problems that accompany musculoskeletal disorders. They summarize the evidence from 111 published research studies and report that these studies support the effectiveness of yoga for low back pain, and anxiety; Tai Chi for osteoarthritis, depression, anxiety, and sleep disorders; meditation for depression, anxiety, and sleep disorders; and mindfulness for stress and distress. There were no safety problems found with any of these mindfulness techniques. This review indicates that there has accumulated a large body of evidence for the safety and effectiveness of mindfulness practices for the physical and mental health issues that accompany musculoskeletal disorders. Hence the published research to date supports the use of mindfulness practices in the package of treatments for musculoskeletal disorders. So, improve physical and mental health with musculoskeletal disorders with mindfulness practices. To identify potentially effective complementary approaches for musculoskeletal (MSK)–mental health (MH) comorbidity, by synthesising evidence on effectiveness, cost-effectiveness and safety from systematic reviews (SRs). We included 84 MSK SRs and 27 MH SRs. Only one focused on MSK–MH comorbidity. Meditative approaches and yoga may improve MH outcomes in MSK populations. Yoga and tai chi had moderate/good evidence for MSK and MH conditions. SRs reported moderate/good quality evidence (any comparator) in a moderate/large population for: low back pain (LBP) (yoga, acupuncture, spinal manipulation/mobilisation, osteopathy), osteoarthritis (OA) (acupuncture, tai chi), neck pain (acupuncture, manipulation/manual therapy), myofascial trigger point pain (acupuncture), depression (mindfulness-based stress reduction (MBSR), meditation, tai chi, relaxation), anxiety (meditation/MBSR, moving meditation, yoga), sleep disorders (meditative/mind–body movement) and stress/distress (mindfulness). The majority of these complementary approaches had some evidence of safety—only three had evidence of harm. There was some evidence of cost-effectiveness for spinal manipulation/mobilisation and acupuncture for LBP, and manual therapy/manipulation for neck pain, but few SRs reviewed cost-effectiveness and many found no data. Only one SR studied MSK–MH comorbidity. Research priorities for complementary medicine for both MSK and MH (LBP, OA, depression, anxiety and sleep problems) are yoga, mindfulness and tai chi. Despite the large number of SRs and the prevalence of comorbidity, more high-quality, large randomised controlled trials in comorbid populations are needed.